///Nitecore P20 800 Lumen Flashlight ''NK 2014 Tactical Flashlight of the Year Top Pick"
//A top pick for it's combination of size, durability, beam performance in terms of output/reach, battery drain, versatility of applications & a unique rear tail cap switch. Other competitors include the Armytek Wizard Pro Headlamp & the Nitecore MH1C. //Only a decent 800 lumens but more importantly paired with a deeper reflector creates superior throw (other comparable 1000 lumen lights such as the Nitecore P16 & FEnix PD35 disperse the light too rapidly up close). The overall shape allows for a good striking grip but slightly uncomfortable for EDC. Bezel crenulation for striking is not very aggressive (compared to a NEBO). The drain pattern is Constant meaning the brightness of the light does not dim as the battery starts to deplete. //With all equipment/gear, the intended application determines the features worth looking for. The P20 offers a multitude of options & because of this it gets high praises from NK. It's worth looking at the other two competitors for 2014 which are the Armytek Wizard Pro and the Nitecore MH1C. 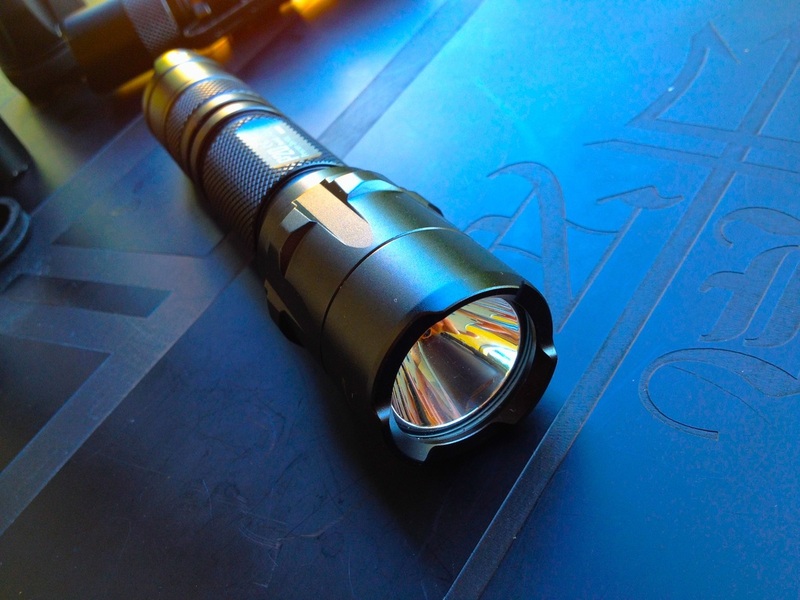 //As tested on other Nitecore flashlights such as the MH1C (runner up for top pick for tactical EDC flashlight) the internal components are waterproof and the flashlight will work even if completely flooded. Impact resistance is at a class standard. applicable in different fields. The pocket clip should be immediately replaced with a stronger/ secure one and the flashlight is more secure dropped in the pocket or in it's sheath. The head on the flashlight is larger but this is to accomodate a deeper reflector for a more focused beam to throw the 800 lumens farther than comparable 1000 lumen flashlights.